Features: Brand new Beach Club, Two Vacations in One, Golf Greens Fees & Transfers included, 15 restaurants, Rock climbing Wall. 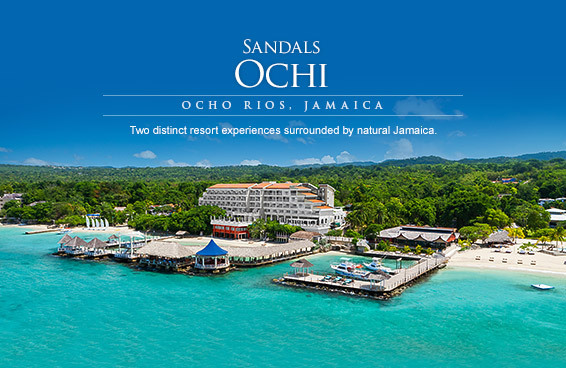 Note: No exchange privileges with Sandals Royal Plantation. New for 2011: Exciting new Riviera Beach Club, Neptune's Restaurant, Dino's Pizzeria, Gordon's Restaurant (Butler serviced guests), Kimono's Restaurant, Soy Restaurant, Bamboo Grove Block newly renovated.